This page shows the latest Bayer Healthcare news and features for those working in and with pharma, biotech and healthcare. AbbVie, Bayer, Celgene and Novartis are up for the prestigious Company of the Year. Pharma insight on digital marketing, social media, mobile apps, online video, websites and interactive healthcare tools. 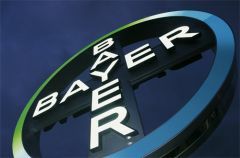 ... Bayer has scored highly in a cross-industry ranking of corporate websites, coming second only to Nestlé in the results. Baumann joined Bayer in 1988, working initially in the corporate finance department in Leverkusen. ... He then served as chief financial officer, chief strategy and portfolio officer and chairman of the board of management of Bayer HealthCare. Approximately 3 fully matching, plus 111 partially matching documents found. How is Bayer in the UK preparing for the unknown quantity that is Brexit? ... Coming back to value, how do you measure Bayer’s impact on the healthcare system and on patients in the UK? Approximately 2 fully matching, plus 18 partially matching documents found. Becky Fergusson. Health Managing Director. View LinkedIn profile. Reshma Parmar. Pharmaceutical Healthcare Consultant. ... View LinkedIn profile. . 2018. CIPR Excellence awards (Healthcare) for our @DangerousSnail25 campaign for Bayer (finalist).